That diesel emissions are harmful and toxic is an old story. But even after 20 year of global action to clean diesel up, it is still throwing up new and more difficult challenges; and that is an unfolding story. US, Europe and Japan have made emissions targets stringent, but diesel vehicles are struggling to lower emissions. Consequently, cities all over the world are beginning to restrict diesel cars to protect the environment, perhaps signalling the death of diesel. There are valuable lessons for India in this. While misuse of fuel tax policy to keep diesel prices cheap has led to massive dieselization of the car segment, rapid expansion in road-based freight has exploded truck traffic on highways that contribute enormously to pollution in densely populated habitations with serious public health consequences. Though this is a national concern, policy action on diesel has played out more intensely in Delhi due to Supreme Court (SC) interventions to address air pollution concerns in the capital. Since the late nineties, several directives from SC and subsequent government action have targeted toxic particulate matter (PM) and noxious gases from diesel vehicles in Delhi. In the first phase, key diesel polluters—buses, taxis and small commercial vehicles that operate within the city limits—were asked to move out of diesel. Nearly all of them have now been substituted with compressed natural gas (CNG) vehicles. This was a win-win as the clean fuel programme was conjoined with public transport augmentation plan, as the 28 July 1998 SC order, while directing all buses to move out of diesel, had also ordered increasing bus numbers to 10,000. Since then, the health gains of replacing diesel with CNG in high mileage vehicles has been compromised by rapid increase in personal diesel car numbers and the growing influx of diesel trucks into the city. In 2000, diesel cars were just 4 per cent of new car sales. This increased to 50 per cent by 2012. 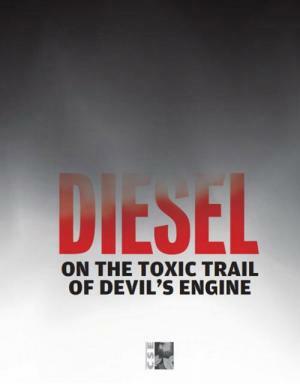 Among all other pollution sources, the diesel cars sector has witnessed the most rapid increase in the city. Similarly, the 55,000 trucks estimated to have been entering Delhi daily in 2015 were responsible for 30 per cent of the particulate load from the transport sector in the city. Exposure to direct diesel emissions kept increasing. Since 2015, SC has once again intervened to monitor and direct air pollution control. This time, it is a more comprehensive approach covering all key pollution sources in the national capital region (NCR) of Delhi. A series of directives have been issued since October 2016 to control pollution from vehicles, waste burning, and construction activities. Power plant pollution is also on the anvil.